Why Should Dr. Kay Perform My Mini Facelift? Is a Mini Face Lift Right for You? 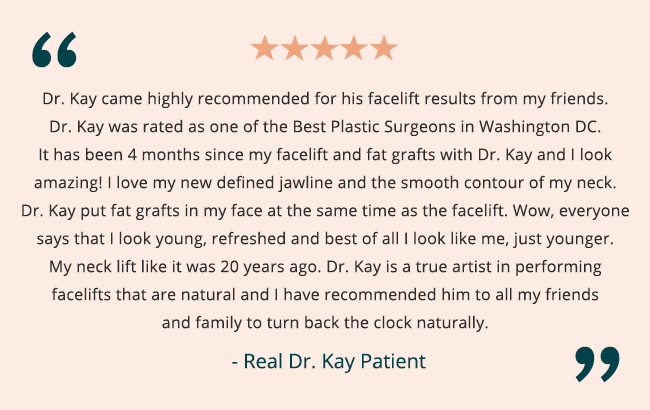 Women and men experiencing the onset of aging with minor degrees of sagging skin around the cheeks, jowls, jawline and neck can benefit substantially from the rejuvenating effects of a mini facelift in Washington DC. 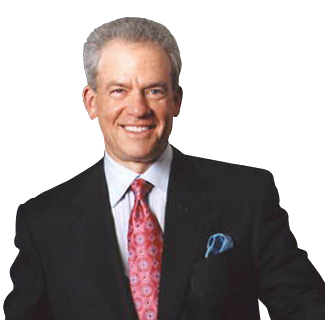 Board certified plastic surgeon Dr. Stephen Kay specializes in all aspects of facial rejuvenation, helping thousands of women and men from Washington, D.C., the Bethesda-Chevy Chase metro area, and beyond achieve beautiful, natural results. In addition to mini facelift surgery, Dr. Kay offers a full range of cosmetic plastic surgery procedures and nonsurgical options for both face and body. Please contact us online or call our Chevy Chase plastic surgery practice at 301-951-5120 for more information on mini facelifts. Please visit our before and after photo gallery to see real patient results that are possible after a mini facelift. The costs associated with a mini facelift will vary depending on the specific approach that Dr. Kay takes and whether any additional procedures are performed at the same time. The total charges of a mini facelift will include anesthesiologist fees, use of the surgical facility, and Dr. Kay’s surgical fee. Dr. Kay and his staff will be happy to go over cosmetic surgery financing options that can help make your mini facelift as affordable as possible. A mini facelift can be an excellent option for women and men who are troubled by aging through the lower face. By subtly tightening the skin around the cheeks, jawline and neck, a small yet significant degree of sagging or loose skin can be corrected, resulting in a smoother, tighter and younger looking lower face and jawline. During your consultation, Dr. Kay will discuss your goals for facial rejuvenation with you as well as any concerns you might have. He will also detail the procedure and explain the recovery process so that you’re fully informed about what to expect. If you are experiencing more advanced signs of aging than those that can be addressed by a mini facelift, Dr. Kay may suggest a full facelift instead. During the surgery itself, Dr. Kay will use local anesthesia to minimize any discomfort before placing incisions along the hairline and around the ears as discreetly as possible. Incision placement can vary from patient to patient depending on facial structure, and Dr. Kay will discuss the ideal incisions for you during your consultation. Once the incisions are made, the SMAS layer of supportive tissue beneath the skin can be lifted and tightened into a more youthful appearance. In addition, the platysma muscle, the thin muscle that spans the front of the neck, can be tightened as well. Then new positions are then stitched into place and any excess skin is removed. You should notice an immediate improvement in the skin quality and contours of your lower face and neck, but the results will initially be obscured by some swelling. It’s normal to feel some degree of discomfort in the first few days or weeks after your mini facelift. Dr. Kay may recommend that you sleep with your head slightly elevated and wear bandages for the first day or two. Patients are typically able to return to their normal routine 1 to 2 weeks after their surgery. Following your mini facelift, the contours of your face will appear much younger than before, with a gracefully defined neck and jawline. After addressing signs of aging in their earlier stages with a mini facelift, women and men can help keep more advanced aging at bay for longer while enjoying a vibrant and naturally refreshed appearance. You can learn more about a mini facelift procedure here and you can also learn more about Dr. Kay by visiting RealSelf. 1 Why Should Dr. Kay Perform My Mini Facelift? 1.1 Is a Mini Face Lift Right for You?